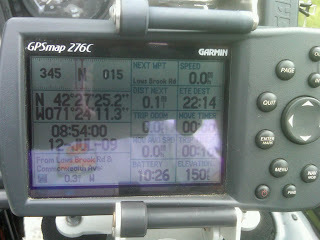 Packing the bike and here is the computer game, I mean gps showing all zeroes and ready to go! This post is really just to test my phone/blogger connection. Bill O’Reilly, stupid or evil? Malechaloosa end of day one.